When most of us think of olive trees romantic images of the Mediterranean quickly follow. However despite their warm temperate origins they are surprising hardy able to withstand freezing temperatures as far down as -10 degrees Celsius! 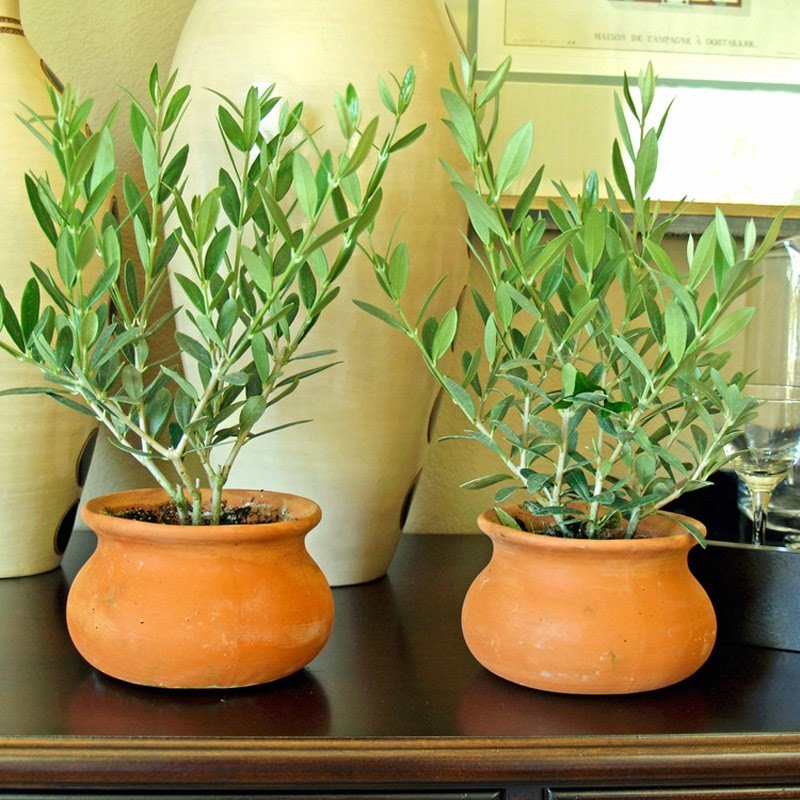 This means that so long as they are planted in a warm, sunny location you can even grow olive trees in the southern counties of the United Kingdom. While growing olives from seed is relatively easy, getting hold of suitable, viable seed is slightly harder. The problem is that the only olives that most of us can get our hands on are the jars of processed fruits found in the supermarkets. The problem with olives is that they are not edible straight from the tree. 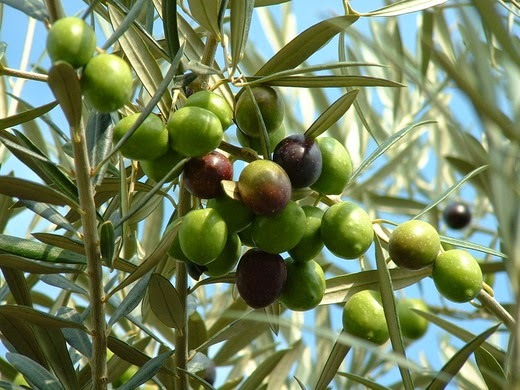 They contain oleuropein, a bitter phenolic compounds, which along with several other phenolic compounds render freshly picked olives particularly bitter and palatable. To produce edible olives they must be cured and fermented, a process which will removes or lowers the levels of phenolic compounds. Unfortunately this process will also damage the seeds making them less able to germinate. Therefore seeds collected from a jar of olives are unlikely to bear fruit (excuse the pun). The answer then is to source fresh, fully ripened olive fruits by either collecting them yourself or by purchasing suitable seeds from a specialist supplier. Fresh olives will need to have the fruit removed to expose the seed (more correctly known as a stone). 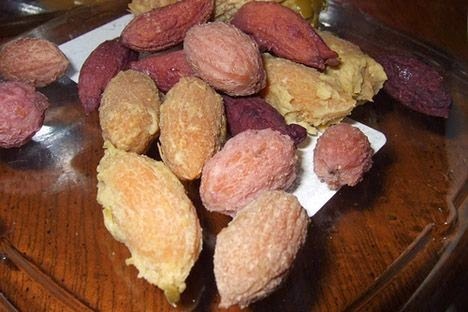 You will notice that the seed will have a thick hard coat which in the wild would need stratification before planting. This can take a year or so, so a common method of 'encouraging' the seed to germinated is chitting. This is where the seed coat is thinned by either rubbing it on sandpaper to reduce its thickness, and then soaking it for a few hours in warm water. Alternatively you can clip the end of the seed with a knife, removing the end of the seed coat altogether and exposing the live seed inside. There is a sharp end to the seed and a blunt end. Clip away at the blunt end until you expose a tiny hole. Do not damage the seed inside. Using 3 inch pots, fill with a good quality compost such as John Innes 'Seed and Cutting' and then gently water in. Once the excess water has drained away press one seed on the surface of the compost of each pot but do not bury it. The seeds will need to be exposed to light to help encourage germination. Place the pots inside a propagator or seal inside a clear polythene bag to help maintain a high humidity. Move the pots to a warm bright position such a windowsill. However avoid having the pots exposed to direct sunlight as this can dry out the compost. You can expect germination to occur within 3-4 weeks. Once germinated remove the pots from the bag or propagator and allow the top 1/4 inch of compost to dry out before watering. Keep the seedlings indoors for another month or so then so long that frosts are not expected they can be hardened off for a couple of week before being moved outside. Once the roots have become established in the pots they can be potted on into 2-3 liter pots. From there they can be planted out into the final position. They will be happy in any well-drained soil in a position of full sun.